Picture if you will the glamour and indulgences of a swank six-star resort gracefully floating on a scenic Baltic voyage with fascinating ports along the way. That, you see, is the essence of Silversea's "A Taste Of The Baltics" cruise. Aboard the elegant Silver Whisper, travelers are treated to a seven-day journey from Copenhagen to Stockholm that promises an eclectic mix of Scandinavian style and Russian intrigue. 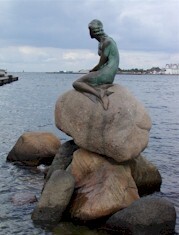 Copenhagen is famous for its fairytale charm, typified by grand castles and statues of the Little Mermaid and Hans Christian Andersen. 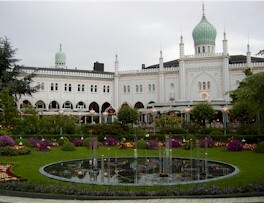 The city even boasts its own Technicolor fantasy world called Tivoli Gardens, a century old amusement park right in the heart of town. 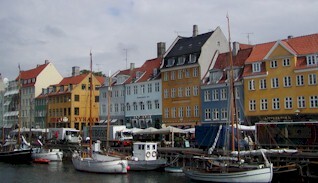 Fantasies aside, Denmark's capital has another facade that is more modern -- this is a city buzzing with activity. Stroll on "Stroget", renowned as the longest shopping street in the world, and be surrounded by all things Danish. Visit the Royal Palace Amalienborg just after noon and be treated to the changing of the guard. The city boasts excellent art galleries. There is the Luisiana Museum of Modern Art housing wonderful contemporary art. The Ny Carlsberg Glyptotek hosts one of the world's three complete series of Degas bronzes along with exquisite Impressionist art. Copenhagen's waterfront is visually spectacular with the Old Stock Exchange topped with its entwining dragon tail spire, the impressive Christiansborg Palace, home of the Danish Parliament and Gefion Fountain. After touring Copenhagen, guests finally become acquainted with the Silver Whisper. "Quiet luxury" are two words that best describe a cruise aboard Silversea. There's no glitz or glitter, just elegant good taste at every turn. It does not take long to get used to the pampering service of Silver Whisper's staff. Crewmembers are ready, willing and able to cater to every detail during the cruise, starting with taking your luggage to your suite and setting up your preferred beverages. Silversea staff is amazingly quick to remember your name and your particular favorites. They even found and brought me elusive guava juice to make my favorite guava mimosas, something no other cruise line has even attempted to do. The secret of this magnificent personal attention is the superior staff to crew ratio and the masterful training. In fact, Silversea is so highly regarded that the Russian government chartered Silver Whisper for use during celebrations of St. Petersburg's 300th anniversary in late May. The accommodations are top of the line. There are seven suite categories ranging from 287 square feet all the way up to a palatial 1435 square feet. Every suite has a walk-in closet with a safe, chest of drawers, lots of hangers and enough room to store suitcases - or for use as a changing room. The bathrooms are marble wonders that offer a separate tub and shower stall along with two sinks. What's unique to Silversea is that their guest accommodations are forward on seven decks with lounges, bars and restaurants extending from midship aft. This arrangement allows for a peaceful environment in every suite. One of the biggest attractions for Silversea passengers is the all-inclusive aspect of the voyage. You pay for nothing once on board. No tipping, no surcharges (except for exclusive wines, tours, spa treatments) and you can even have your meals served in courses in your suite. The food on the Silver Whisper is always gourmet quality, and will surely please even the pickiest epicureans. You will not find vast buffet-style restaurants on Silversea, there are simply two open-seating dining venues onboard. Located on deck four mid-ship, The Restaurant is open for breakfast, lunch, and dinner. A dramatic formal hall entrance sets the tone for an elegant venue combining the best of traditional and modern d�cor. Located aft on deck seven, the Terrace Caf� offers both indoor and al fresco dining. A wall of floor-to-ceiling windows offers 180-degree views and brings the outdoors inside. It is an elegantly casual, self-service restaurant with waiters always in attendance to take the "self" out of the self-service. A pasta chef prepares made-to-order specialties during lunch times and fresh omelets during breakfast. The caf� is also used as a dining alternative numerous nights on every cruise, when specialties of the chef are served. Reservations are required on those evenings when only set menus are offered along with special wines of the region. Soon Silversea will introduce an added dining attraction - a Relais & Chateau gourmet restaurant in an area of the Silver Whisper that is now reserved as the champagne room. After a hectic first day, it is always refreshing to enjoy a sea day. It is the beginning of July and we are in the midst of the Baltic's white nights -- where no part of the sun ever dips below the horizon -- it just goes on and on. Up here, you quickly lose your ability to judge what time it is. Over the course of seven days, I rarely was able to get a full night's sleep because of the never-ending sunlight; I was constantly "energized." Nevertheless, this light-induced energy served me well as I was able to enjoy the vast activities onboard. On this sea day activities included fitness classes, lectures on touring our ports-of-call, more lectures on world affairs, and much more. Evening entertainment featured the captain's gala dinner, followed by an outdated production show in the ship's Viennese Lounge. Fortunately, Silversea will be updating and upgrading its evening entertainment in the near future. The ship docked in Helsinki to a glorious Finish morning. There were numerous tours offered; however, just wandering the city by foot proved refreshing and enlightening. Near the ship was the wonderful Kauppatori (Market Place) full of fresh flowers, fruits, vegetables, and wonderful crafts. Visitors can chat with native Laplanders about their amazing reindeer hides and fur hats. Along the water's edge, anglers sell the day's catch from their boats. Helsinki is a mix of cultures. Founded by the Swedish Empire it was later occupied by Russia. 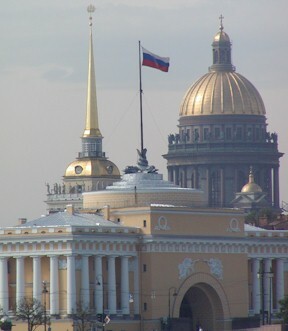 Wandering the cobblestone streets into the Senaatinotori (Senate Square) you will see the Russian influence. A Russian who built much of St. Petersburg designed the square. There's also the wonderful Tuomiokirkku (Dome Church), the Lutheran Cathedral of Finland. Just off the square is the Esplanade, the city's main shopping and caf� area. This wide grassy central mall area boasts wonderful gardens, parks and caf�s. 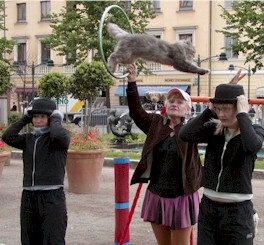 Be sure to stop for the cat circus -- if you think cats cannot be trained, this show is bound to change your mind. In the early morning as Silver Shadow entered the Neva River, a thick yellow blanket of smog enveloped us. Thankfully, as we made our way up towards the center of town the smog dissipated and we were finally able to view the marvelous city of St. Petersburg. Unlike large cruise ships, Silversea vessels are small enough to cruise all the way into St. Petersburg. Most cruise ships that call on St. Petersburg dock on the outskirts of town -- a long forty-five minute drive into the city. This is clearly one of the bigger advantages to being on Silversea. St. Petersburg was founded 300 years ago when Peter the Great laid the cornerstone of the Peter and Paul Fortress. Originally built as a seaport, Peter regarded it as a 'window on Europe' and the city quickly flourished as a cultural center. Peter modeled the city after Amsterdam, but its Baroque golden palaces and enormous cathedrals are more along the lines of extravagant Italian architecture. 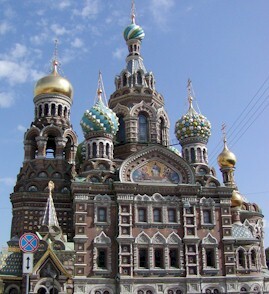 St. Petersburg was actually the capital of Russia between 1710 and 1918. However, when the Bolsheviks came to power Moscow became the capital once more. The 300th anniversary of St. Petersburg has raised the city's profile in recent months. Russian President Vladimir Putin is from St. Petersburg himself and has been the catalyst in restoring St. Petersburg to its former glory after decades of Soviet-era decline. With its freshly painted facades, there has never been a better time to visit the city. 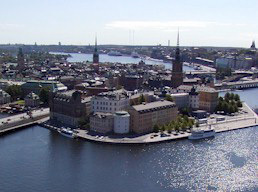 The city sits on more than 40 islands in the Neva estuary, near the Baltic Sea. 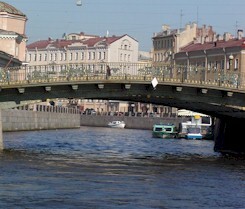 Because of its sixty-six canals and rivers, St. Petersburg is sometimes called the "Venice of the North." The network of canals and rivers reflect a constantly changing sky and gives the city a different look and feel throughout the day. Nevsky Prospekt, inspired by the Champs-Elys�es, is the central artery in the city for cars and other vehicles. However, it is touring by boat that offers the best views of the city. You will see numerous palaces and mansions along the canals and rivers highlights like the Stroganov Palace, the Summer Garden, and the mysterious Michael's Castle, where the Russian Emperor Paul I was murdered. edifice and gilded dome it dominates the skyline. Another church that is hard to miss along the city's skyline is the St Peter and Paul Cathedral. Set in the heart of the Peter and Paul Fortress, this is where Peter the Great and his Romanov descendents are buried. Another site along the Neva River is the Cruiser Aurora, launched in 1903. The Aurora fought in the 1904-05 Russian-Japanese War and World War II, but is best known for her role in the Bolshevik Revolution. At 9:40 p.m. on October 25, 1917, the Aurora fired the shot that signaled the invasion of the Winter Palace. The Winter Palace was the tsars' official residence and has been the setting for more than its share of tragedy. It is now one of the five buildings that house the Hermitage, one of the world's greatest art museums. No visit to St Petersburg would be complete without a visit to the Hermitage. In this writer's opinion, the Hermitage is better than touring the Louvre. No other museum in the world lets you come so close to some of the world's greatest art masterpieces. We almost didn't get to experience Tallinn due to thick fog that blanketed the harbor for most of the morning and early afternoon. Thankfully, enough patches lifted to allow Silver Whisper to dock -- though only for a few short hours. This beautifully preserved medieval city is set behind thick defensive walls. In 1710, Peter the Great took control of the city from Sweden, securing Russia's link to the west. Today it is the capital of Estonia and a UNESCO World Heritage site. Its castles, turrets, spires, and gabled, tile-roofed houses, drawbridges provide a fairy-tale atmosphere. 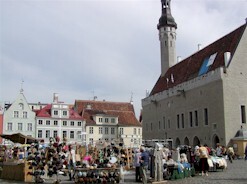 Tallinn is divided into two parts, the lower town and Castle Hill. A wall was built between the two so merchants could separate themselves from the aristocrats on the hill. The heart of the quarter is Raekoja Plats, home to the oldest surviving Gothic town hall in northern Europe. The best way to explore Tallinn is on foot. There is something magical around every corner and down every twisting street. And, you get the feeling not much has changed here since 1404 as much of the buildings and ramparts are still in use. While Stockholm boasts ultramodern style, it is a city born of the sea that encompasses a rich Viking heritage. The city is built on 14 islands, but is part of a much larger archipelago of thousands more. 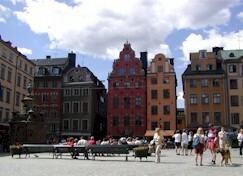 The Old City (Gamla Stan) is adjacent to the inner harbor and feels very medieval. Narrow alleyways and cobblestone streets brimming with shops and cafes add to the charm. At noon each day, get up close and watch the changing of the guard. 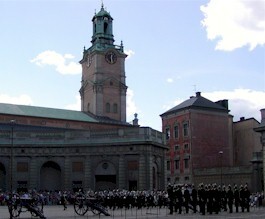 Mounted royal guards emerge from the Royal Palace (Kungliga Slottet), on the north edge of the city, full of pomp and circumstance. The imposing City Hall (Stadshuset) is a magnificent fortress-like building. Completed in 1923, the building is a labor of love by elite Swedish craftsmen. It is one of the most impressive pieces of modern architecture in Europe. Inside, a flight of stairs brings you to the Golden Hall, named for the stunning golden mosaics. On the ground floor is the immense Blue Hall, where the Nobel Prize Banquet -- the city's major social event -- is held each year. Climb to the top tower and be treated to the most amazing 360-degree view of Stockholm. One can't miss site in Stockholm is the Vasamuseet (Vasa Museum). This intriguing place holds the full-scale reconstructed Vasa, a Swedish warship that sank in the harbor on its maiden voyage in 1628 -- it was salvaged in 1961. After cruising on Silver Whisper, it's easy to see why guest satisfaction on Silversea's ships is high: 96 percent of past guests say they would cruise the line again. As one well-traveled guest told me upon leaving the ship, "There is Silversea and then there's all the rest (of the cruise lines). They are the best cruise line in the world.'' Indeed, Silversea has received numerous honors over the years. Both Conde Nast Traveler and Travel & Leisure magazines recognize Silversea as the world's best small cruise ship line. Conde Nast readers even voted Silversea one of the top 35 travel experiences worldwide. Next year, as Silversea sails into its 10th anniversary, it is a sure thing that they will continue to remain the best of the best. Weather in the Baltics is very unpredictable, it is best to cruise the region from late June through early September. On my voyage in early July, the weather was spectacular; however, the voyage prior did not have the best weather. Cruise fares on Silversea can range from $350 to over $1000 per day, per person (depending upon such itinerary, time of year, etc.) 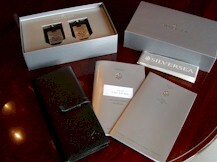 But, the good news is Silversea is becoming more affordable since the inception of their Simplicity Pricing program. Simplicity Pricing is an extraordinary savings program that allows guests to save up to 50% off the cruise-only fares of Vista and Veranda Suites. In addition, Silversea offers Personalized Voyages aboard all Silversea ships. This great flexible option allows cruisers to choose the length of their voyage and embarking and disembarking ports. For more information, visit Silversea's website at http://www.silversea.com. Silver Whisper Daily Chronicles and Dinner Menus - See the seven days of activities and menus offered on my voyage. Silver Shadow Photo Safari - Over 70 photos of the ship and onboard life. Silver Shadow Daily Chronicles and Dinner Menus - See the twelve days of activities and menus offered on my voyage. Silversea Q&A - AnitaVacation readers' questions answered during the Silver Shadow voyage. From Polliwog To Shellback-Crossing The Equator - Rites of passage at sea or is it travel "hazing"?